Wanda Tisdale was born in Lumberton County, North Carolina, where she attended the Robeson County Public School System. She obtained her Associate’s Degree in Office System’s Technology at Robeson Community College. 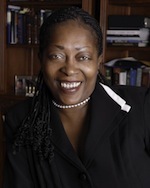 Wanda has been employed with the firm for nearly twelve (12) years. Her main area of concentration is civil and criminal litigation which she assists the attorneys in contract disputes, unfair and deceptive trade practices, traffic violations, federal and felony drug cases along with homicide cases. Wanda’s goal is to assist in satisfying the needs of existing clients and anticipating their needs in the future adhering to the highest standards of excellence, integrity, and compassion.